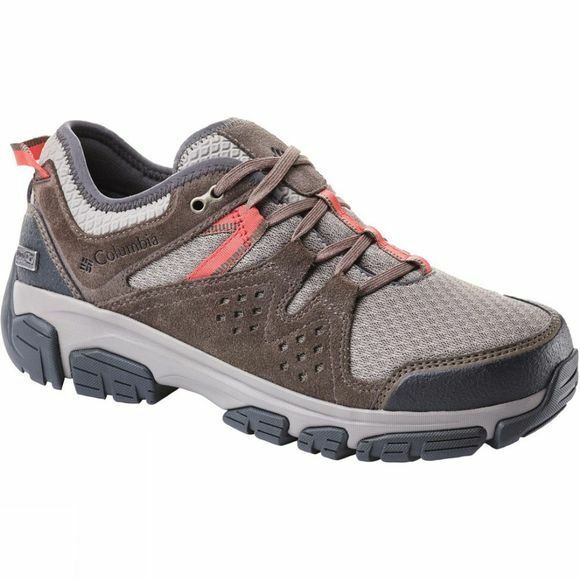 Columbia presents ISOTERRA: a low-cut shoe with a women-only last. It features a durable mesh upper with strategically placed suede overlays, a molded foam collar for comfort and protection while the lightweight midsole provides superior cushioning for comfort. Those hikers are fully waterproof thanks to Outdry construction. The rubber outsole provides excellent non-marking traction, while the mid-cut design brings you more support and stability.